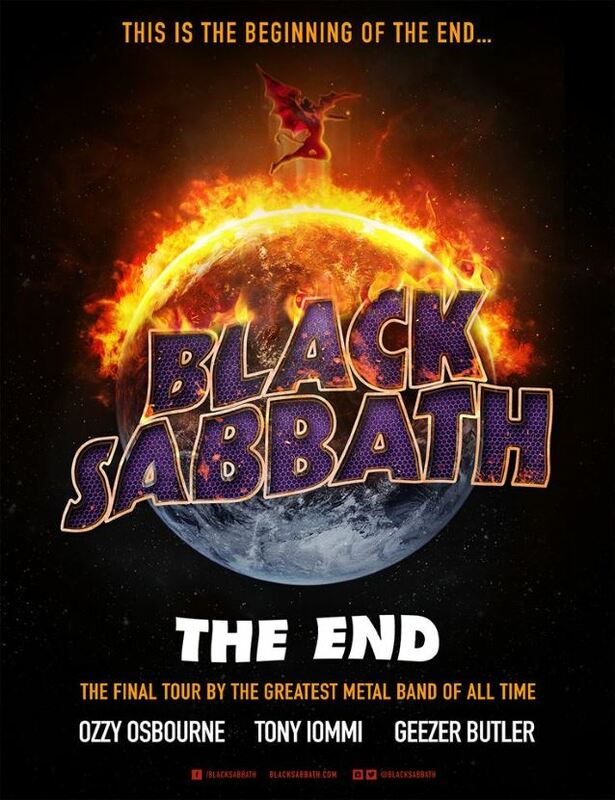 Black Sabbath announced "The End" tour. Below the tour dates. "It's the Beginning of The End. It started nearly five decades ago with a crack of thunder, a distant bell ringing and then that monstrous riff that shook the earth. The heaviest rock sound ever heard. In that moment Heavy Metal was born, created by a young band from Birmingham, England barely out of their teens. Now it ENDS, the final tour by the greatest Metal Band of all time, Black Sabbath. 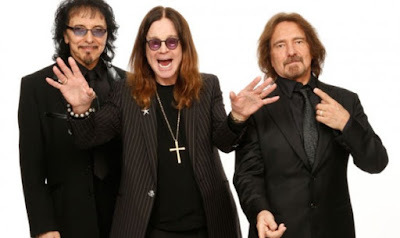 Ozzy Osbourne, Tony Iommi and Geezer Butler close the final chapter in the final volume of the incredible Black Sabbath story. Black Sabbath's farewell tour, 'The End', begins on January 20, 2016 and it promises to surpass all previous tours with their most mesmerizing production ever. When this tour concludes, it will truly be The End of one of most legendary bands in Rock 'n Roll history…"